Some of the lowest prices in the renters insurance space. Summary: Jetty Insurance is hands-down, the fastest way to get quotes and buy renters insurance online. Their site is full of information about how renters insurance works and what is included in their policy. However, the website doesn't explain how the claims process will work in good detail, the claims process can't be completed online, and right now Jetty Insurance is still not offered in a few states. That is why I put this Jetty Insurance Review together. To go over all the coverage options that are included with your policy, and to help you see how simple and fast Jetty Insurance makes it for you to apply online for renters insurance and get immediate coverage. Enjoy this Jetty Insurance Review! 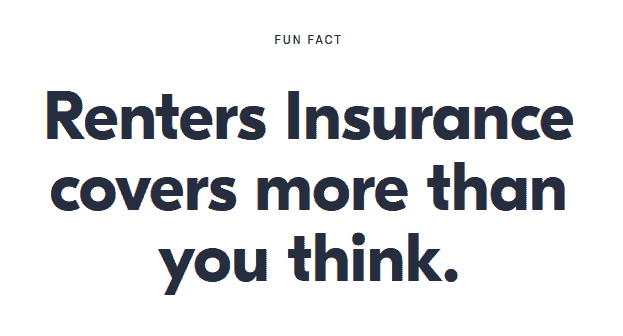 What Does ​Jetty Renters Insurance Cover? What Does ​Jetty Insurance Not Cover? How Much Does Jetty Insurance Cost? I am sure you went and viewed a few apartments and found the one you loved, you paid your deposit if you had one and was ready to move in. You then are hit with the "You need renters insurance before you move in" comment and your mind went blank. Renters insurance may not legally be required in your state. However, the apartment complex may require that you have coverage to take care of any liabilities before you can move in. Don't panic, you will be able to do enough research and get covered well before you have to move in. In this review today I am going to show you how the Jetty Insurance process works, and why it's the best way to get renters insurance quotes and buy online. ​Jetty Insurance was founded in 2015 and is also part of what I call the NewTech Insurance Company ​family. ​Jetty Insurance was built by a ​team of ​marketing and technology gurus ​who now like insurance. They have come together to create a solid product and an excellent process. ​Jetty Insurance is ​reinsured by ​Munich Re and underwritten by State National Companies Inc.
For those of you wondering... A reinsurance company is ​an insurance company for ​your insurance company. If something ​were to happen to ​Jetty, your policies would still be perfectly fine. ​State National also has an A (Excellent) rating from A.M. Best. This is an important factor because when it comes to insurance you need to know that you can rely on an insurance company for their financial strength and longevity. They rate companies based mainly on their financial strength, which can be an indicator of claims-paying ability. 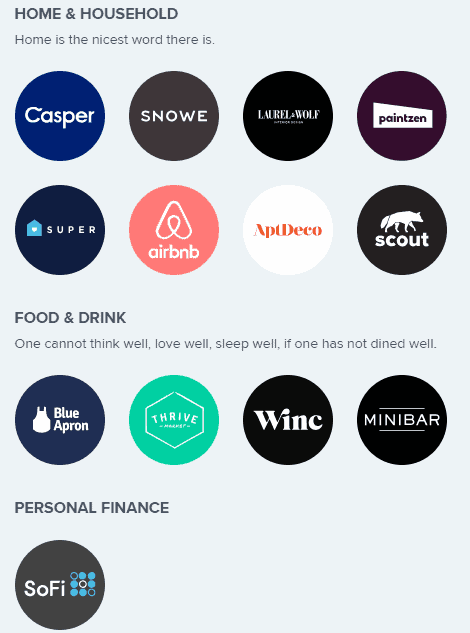 ​Jetty really has come out with the most modern renters insurance around. They are focusing on helping people in cities save money and avoid wasting time and having setbacks. They have done this through a super fast application process and modern, comprehensive coverage options. ​Jetty's Renters Insurance is ​a much easier, faster and seamless process with a 100% online process. 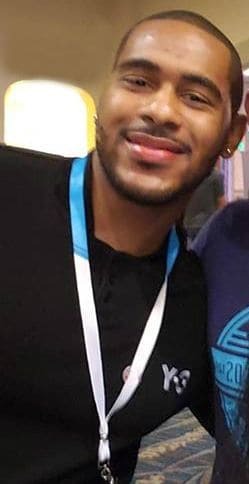 When they first started looking for renters insurance, they realized how outdated everyone's process was and wanted to bring renters insurance into the 21st century. You can get quotes within 30 seconds and apply online in minutes, and because everything is web based you are going to be looking at the most affordable rates. As I stated above, ​Jetty is offering a more modern coverage by adding and including things like ​global coverage and​ bedbug coverage to their plans. ​They also have ​a revolutionary process called Jetty Passport where they offer the option to have them as your guarantor for an apartment if you need one before you can get an apartment. This review will not cover the Jetty Passport in detail. However, we will give a quick review of it below and how it works. ​There is no way to do a review about Jetty Renters Insurance and not talk a bit about the Jetty Passport product. ​The premise of ​Jetty Passport is to get rid of large security deposits and also put you into a position of not having to find a co-signer for your lease. The products go by the name Jetty Passport Deposit and Jetty Passport Lease. ​Jetty Passport Deposit charges a one time fee of 17.5% of the deposit amount instead of you having to pay the full deposit amount, and it isn't a loan. ​They will cover the rest from there with your landlord directly. Their other product is called Jetty Passport Lease; this product is specifically used to be the co-signor on your lease if your friends or family can't or choose not to. ​Using Jetty Passport Lease is going to come ​with a charge of about 5% to 10% more per year on your rent. Overall, the Jetty Passport & Jetty Passport Lease products can come in handy if you don't want to spend a large amount of money up front to get into an apartment. Also, if your credit isn't strong enough or your financial situation isn't as good, you can get a co-signer even if you don't have family or friends to help. Jetty has you covered for the Basics and for what they call Power Ups, we explain how they work below and then go into the 3 different plan options they have. ​Basic plans will cover your 'normal household belongings' like your clothes, your bed, your tv, your washer/dryer and your couch. Contents coverage​ - If something happens to your things this part of the policy covers that. It will cover things from furniture to electronics. Loss of use coverage — If you are in a situation where your rental becomes uninhabitable, this coverage will kick in to help you with funds for things like hotel stays, food and travel. Liability coverage — If you cause damage or harm to someone and are financially responsible, like if your dog damages someone's property; this coverage will kick in. Medical payments to others coverage — This part of the policy will pay out if you need to pay financial compensation to cover someone's medical bills (due to an incident on or near your property). Remember, Basic Plans do not fully cover an additional set of scenarios common to personal electronics items like your smartphone, your tablet or your laptop. ​This is the same with every renters insurance provider. If you have items like that then you will probably want to add the Personal Electronics Protection Power-Up, which we discuss more below. ​Valuables Protection — If you have a special item worth over $1,000, ​Jetty recommends that you add the Valuables Protection Power-Up. Since the Basic Plans are designed to cover many people with similar risk levels on their 'normal household belongings,' ​they don't fully cover uncommon, high-value items. Things like your grandmother's pearl necklace, your rare Bordeaux wines, your colonial stamp collection, your rare comic book collection or your Optimus Prime action figure. Personal Electronics Protection — This coverage is going to be for personal electronics items like smartphones, tablets and laptops. These items are subject to all sorts of special risks not typically covered by Basic plans, such as drop-and-shatter, and are not necessarily covered for these situations by default (keep in mind, this is not unique to Jetty). As such, for just a few dollars extra, ​Jetty recommends buying the Personal Electronics Protection Power-Up to ensure you're fully protected in these scenarios. Unlike your 'normal household belongings' like your clothes, the items covered under the Personal Electronics Power-Up are highly susceptible to situations happening which make the probability of a claim more likely. An example: drop-and-break; while it's highly unlikely that a pile of clothes would break if you were to drop them. However if you drop your google pixel XL, you will be screaming before it hits the ground, and you know the screen is going to be completely shattered. Under the Basic plans, the situations that allow for reimbursement are the ones which reasonably apply to normal household belongings. This power-up is only for physical damage and does not cover things like malware, spyware or any other type of computer viruses. As you probably know, all insurance plans come with a deductible. A Deductible is the amount you're responsible for before an insurance company's protection kicks in. When buying a plan, you have the option of adjusting the deductible; the higher the deductible, the cheaper your plan will be, this is because you are taking on more of the financial risk up-front. With the Personal Electronics Protection Power-Up, there's a $100 deductible for computers and just a $50 deductible for all other items. This is great because if you purchase this Power-Up, and drop your tablet or phone, your deductible would only be $50 and the policy would cover the remainder up to your coverage amount. Airbnb Host Theft Protection - So, if you have used Airbnb before you know that you are covered for most damages by the Host Protection insurance they offer. However, since you are indeed acting like a landlord when you rent your place out, your normal plan becomes void for many situations. This includes things like theft arising from your guest's negligence. When guests don't lock the door or hide the key in the right place this Power-Up will cover you. ​Global Protection - This is going to protect your property no matter where you are on the planet. If you experience a covered loss, even outside of your ​rental, your policy will cover it. ​Bedbug Coverage - This will pay out $300.00 if a licensed pest control professional certifies that you have bedbugs to help you offset the costs of dealing with it. GET YOUR ​INSTANT QUOTE TODAY! Just like the majority of more modern insurance companies, Jetty has made their buying process very simple with 3 options. ​These plans all range in different levels of ​protection and give you the ability to fit coverage into your budget. I always tell my customers that it is better to buy what you can afford than to buy nothing. The Basic plan is just that, all of the basics, this plan should cover the minimum requirements for most landlords as well. This plan will have the lowest coverage limits available for all plans and only cover $1,000 in Personal electronics coverage. The Essentials Plan is packed with a ton of value and can stand up against the best offerings of other companies. *If you have a dog, please read our "The High Risk Dilemma." Section. The Essential plan is going to give you the best of both worlds in terms of coverage and premium. Jetty recommends this option and shows that this is the plan most people choose. This plan is going to include all of the benefits of The "Basic" plan but give you more coverage limits for all of your coverage options like Liability and Medical. This plan will also have a $3,000 limit for the Personal Electronics Power-Up. This plan is going to include all of the benefits of The "Basic" plan and The "Essential" plan and allow you to maximize the benefits for all of your coverage options. Start With Higher Personal Electronics Power-Up Limit. Floods — If you’re concerned about flood risk, your best bet is to visit FEMA’s website to learn more about the National Flood Insurance Program. Keep in mind, this policy will cover things like an overflowing-bathtub, situations like that aren't considered to be a flood in terms of being covered. Earthquakes — Earthquakes aren't covered either, if you are concerned about earthquakes you should search for a separate earthquake policy. Dangerous dogs — Like with other renters insurance plans, certain dog breeds are seen as higher-risk than others, and so a few breeds are excluded from liability protection. We cover the list below in the "High Risk" Dilemma section below. Intentional acts — No matter the insurance company or the type of insurance product, there isn't any insurance carrier that will pay out for a loss caused by an intentional act. I would always recommend reading your policy specifics for a more detailed outline of what is and isn't covered so that you know how your policy works. I want to address this dog bite issue, if you read above one of the tings we didn't like about this and other renters insurance policies is that it labels certain dogs as "high risk." If your pet is considered "high risk" then you are not covered if they bite someone with this policy. This policy also doesn't cover dogs that have a prior attack or biting history. The only exceptions that can be made is if your pet is a Seeing Guide Dog, Hearing Dog, or is Trained to Assist the Physically Disabled. Be mindful, as I stated above, that this practice is standard in the industry and that it is NOT exclusive to only Jetty. It is something that I think pet-parents need to be aware of if they purchase this policy. The main driver of your monthly premium is going to be how valuable your items are and your plan's coverage limits. The more expensive your items are, the higher limits of coverage you will need. The higher your limits of coverage, the more expensive your policy is going to be. The best way to find out your exact cost is to calculate how much coverage you will need. You can base this on your personal valuables and electronics and get an instant quote by clicking below. ​CLICK HERE FOR YOUR ​INSTANT QUOTE TODAY! Jetty Renters Insurance is currently Not available in Connecticut, Florida, Hawaii, Indiana, Missouri, and North Carolina. Jetty Passport Deposit is currently Not available in Alaska, Connecticut, Delaware, Hawaii, Idaho, Indiana, and Montana. Jetty Passport Lease is currently Not available in Alaska, California, Connecticut, Delaware, Hawaii, Idaho, Indiana, Mississippi, Montana, and Washington. When it comes to filing a claim Jetty will assist you will filing your claim and they also use a "Third Party Administrator" by the name of Gallagher Bassett to assist with handling claims. Jetty, along with Gallagher Bassett might reach out from time to time in the event that you file a claim. A downside to filing a claim is that you have to call in to submit one, but hopefully they will add the ability to submit a claim online or via your cell phone in the near future. You must also email them or call in to check on the status of a claim. Overall, there really isn't much information about exactly how the Jetty Claims process works just yet. To submit a claim, ​you can call 1-844-538-8925. By becoming a Jetty Member, you gain access to a suite of exclusive perks and discounts. Jetty is really focusing on helping consumers get the most out of living in the city. All it takes to join is your email and home address. Of course, if you don't want to participate in Jetty's Member Benefits and would like to be unrolled, just email help@jetty.com. No other Jetty Insurance Review is as long as mine; however, I wanted to make sure that I gave you as much detail as possible. 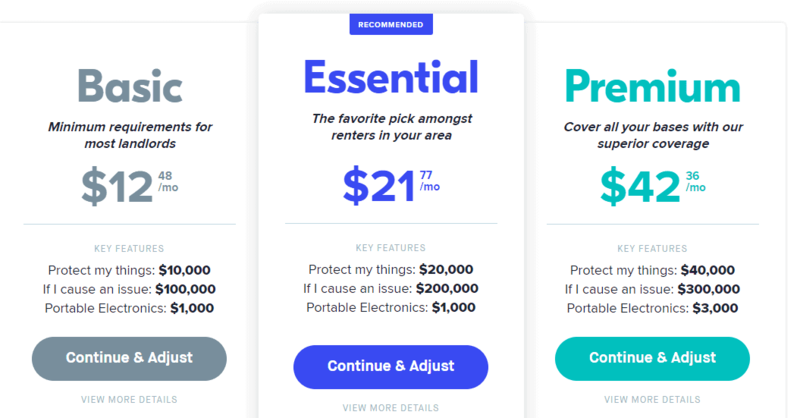 If you have been holding off on buying renters insurance for any reason, I say give Jetty a shot. You have nothing to lose, if you decide to cancel the policy before the term is up, your remaining days of coverage will be pro-rated and you will receive a refund based on days remaining. With their focus on a faster purchasing process and more modern coverage options for the city dwellers. Jetty is changing the face of renters insurance and also changing the complete buying process.